Hey everybody James here from all-American guardian. The other day I recorded a video for you guys two or three days ago to show you how to actually install WordPress. The easy way on your on your domain on your Web site from within your Cpanel. But the software I was using to record messed up and I lost the entire recording. So rerecording that for you now what you’re going to do is you’re going to go to your domain name and for our testing purposes we use an all-American dot site. You’re going to do a /cpanel that’s where you get to your log in screen for Cpanel you’re going to log in with your username and password and then you’re going to scroll down to where it says Softaculous apps installer there’s our WordPress directly against all from here. We’ve got four choices but really I say we just have two I like to use the W W W versions so that would be these two. The only difference between these is this one has an S on it. So if you already have an SSL certificate installed on your domain you would choose that one on this particular test domain I don’t so I’m just going to go with the HTTP, no s all-American dot site that’s my domain name now right here where it says directory the default is WP.. We’re just going to cross that out. Leave it blank because we want it installed on our actual domain not on a sub directory. So if when people go to your domain. So let’s say yourbakery.com, whatever it is you want them to see your wordpress installation because that’s what we’re building your word your site on. 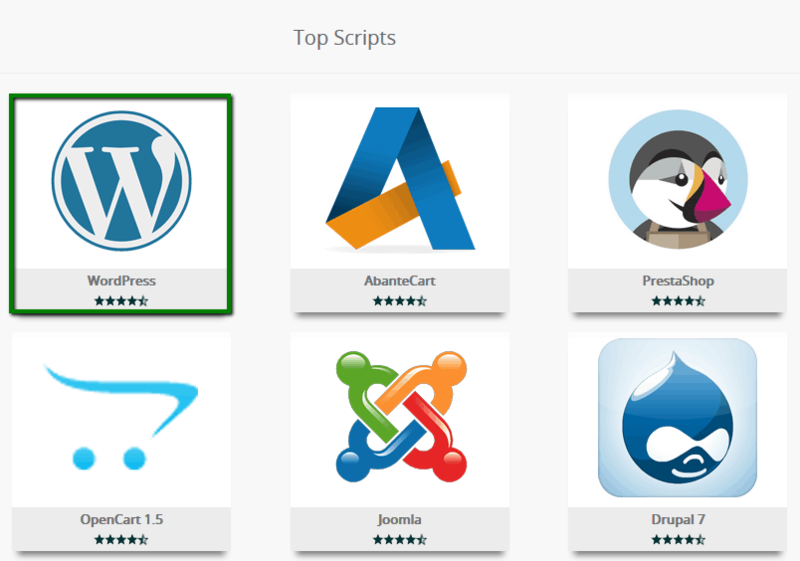 The only time you really need to use this directory is if you already have an established site that’s not built with WordPress but now you’re wanting to add some type of functionality to your website like a blog or maybe a shopping cart or a forum or something like that. And all of those can be achieved with WordPress. So some people will add a subdirectory bill and another directory onto their site where it would be like mybakery.com/blog. And that’s where they’d install their wordpress installation so that they could run a blog off their website. But since we’re going to build our entire website off of WordPress we just leave this blank. I hope that made sense if you have questions asked me. Right here the site settings your site name and description. This is kind of like your site title and the tagline Just leave that blank or just leave it as is for now. We can change that and once we log into WordPress enable multi-site just leave that alone. Username and password. This is super important. This is the biggest problem right now. This is why 30,000 websites a day get hacked. Ok, people leave their username for for WordPress as admin. I don’t…. know this is. I don’t know if this is a problem with Softaculous and other apps installer’s but the default that they have here is admin. It should never be admin. The hackers know that that most people leave their username as the default which is admin and so they already have half the puzzle. OK they already have 50 percent of the puzzle because to break into your site they need your username and they need your password. If you’re using admin as your username your site is more than likely going to eventually be broken into. So please do not use the word admin and don’t use anything that’s super common you know make it something weird. So I made up a weird word it’s a combination of all American …. So it’s just something that they’re never going to guess. And then my password I’m going to hide just so that everyone watching this on YouTube doesn’t see what my password is and you can see that it says my password is strong. I use at least 8 characters, uppercase and lowercase numbers and special characters. Okay. This email address is very important. You need to make sure this is an email address that you monitor that you’re going to actually read email from because anything that happens with your WordPress site you’re going to get an email from it, from your WordPress installation at this email address and make sure it’s a good email address. Language I’ll leave to English. Limit login attempts with the Loginizer plugin, don’t check that. You know you’re not hurting thing if you do check it. That is a decent little plugin that helps prevent people from hacking into your website. What it does is after a certain number of attempts failed attempts at logging and it blocks the IP address for a certain amount of time after that amount of time is passed. They can try to log in again if they continue to fail it will lock them out for a block them for a longer period of time like 24 hours. So it really helps keep hackers out. But I have a better solution for you a different plugin that I like to use that I’ll talk about on a separate video right here, advanced options. You can leave all of this “as is” OK if you really know what you’re doing and you’re very picky about what your database name is in your table prefix names. You can go in here and change this but more than likely most people watching this video right now. If you’re watching how to install WordPress you probably don’t know anything about this stuff and you need to just leave it alone. It even me myself. I’m not picky about this because I can. You can find this information if you ever need it but you know some people accept like coders they’re just real particular about how they like to label things. So you know someone will come in here and change us and customize it. You can just leave this alone. And then the last section here is to select a theme WordPress comes with a default theme installed which is not something I would recommend using for your website. But I’m going to show you on a separate video how to install your own custom theme so you can just leave this as is for now. So we are going to hit install and it just takes a few minutes every few seconds. Boom there we go. Okay so we can go visit our site at AllAmerican.site or we can then visit our administrative URL right here at WP-admin so if I click on that there’s our website. All American site. And this is the default WordPress installation. The default WordPress theme and so on the next video I’m going to show you how to log into WordPress and where I look a little bit. Look around the the administration panel or the dashboard as it’s called and WordPress. If you have any questions let me know in the comments below it whether you’re on my blog or on YouTube. Please make sure that you subscribe if you’re on YouTube so that you’re notified of any new videos I put out and I’ll see you guys on the next video. End Transcript.